This comprehensive overview of dementia care is supported by research-based evidence. Each chapter is well-structured and provides a scenario, a summary and points for reflection. The writing style makes the content accessible to nursing students. The scenarios demonstrate how each individual’s experience of dementia, and the care they require and receive, is unique and changes as the disease progresses. One chapter provides insight into risk assessments and how they offer opportunities to empower individuals and carers. 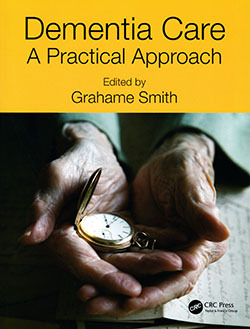 The book is primarily aimed at nursing students but would also be useful to people with dementia, and their families and carers, many of whom contributed to its content. As a personal or a library copy, it would also be a useful reference for anyone working in the field of dementia care.